Thank the blog that nominated you and link back to them. Make a blog post telling 11 facts about yourself. Answer the 11 questions from the blog that nominated you. Prepare 11 questions for those you will nominate. 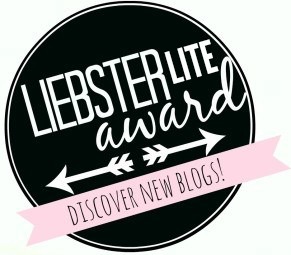 Nominate 11 bloggers who have less than 200 followers by commenting on one of their blog posts. As a relatively new blogger, I was thrilled to be nominated. It is already nice to have reader views, much less followers who like my posts. It’s simply wonderful to be nominated. However, once my initial glee subsided, I admit to being dismayed at the number of things being asked about a boring subject (me). Besides, why Eleven things? Why not three, ten or twelve? Three is a common number for races and competitions, Ten is a good round number for Top Ten lists (Letterman and otherwise) and Twelve is a nice comestible unit (for a dozen donuts or a couple six-packs.) What’s so special about Eleven? I referred to the great web oracle of knowledge, Wikipedia. S/he disappointed me by giving me this explanation: Eleven is the natural number following Ten and preceding Twelve. Well duh. There also appears to be several sets of official rules associated with the Liebster and insofar as I can find, no official governing body. It makes me think that maybe there isn’t one definitive set of rules. Maybe these are merely guidelines. Nominate up to 11 bloggers who have less than 200 followers by commenting on one of their blog posts. It’s a nod to the 60-40 rule applied to Eleven. The number Seven is divinely inspired and cosmically perfect. It is the world’s favorite number (according to this poll) and lastly … Seven is the natural number following Six and preceding Eight.